His legacy can be seen at Anfield today, but not just in the gates that bear his name or the statue at the back of the Kop. Shankly was the catalyst that Liverpool Football club needed. 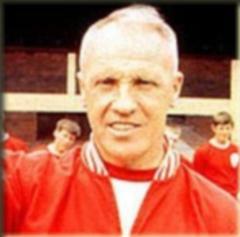 Other men carried on the job that he started but he was the father of the modern-day Liverpool and did as much as anyone and more than most to turn them into one of the great powers of first English and then European football.